Allardyce’s Toffees to Come Under the Hammer at Turf Moor? In a football match that promises to include more sub plots than a John Le Carre novel, Burnley entertain Everton at Turf Moor tomorrow in an English Premier League televised game with an early Saturday kick off at 12.30pm (GMT). Rumours are currently circulating on Merseyside that the Everton manager Sam Allardyce may be given a one way ticket for “Do One Airlines” at the end of what has been a harrowing season for all concerned at Goodison Park. Just before this season’s English Premier League campaign even kicked off, the neutral observer was inclined to believe that Ronald Koeman’s big money summer outlay may well have seen the Blues draw parity with the Reds from across Stanley Park. The fact that the richly experienced and acknowledged problem solver Sam Allardyce, had to be brought in to fix real relegation concerns shows how badly the fatally flawed scheme to buy the Toffees’ way into the Premier League’s top six failed. Sean Dyche’s Clarets are looking tomorrow to bring an end to a winless streak that is jeopardising their aims of a high EPL finish. Despite Everton’s mediocre season so far, a few wins on the bounce could well see the Blues challenging for a place in the Europa League. Arsenal’s rapid loss of confidence and lack of form means that a top six finish is not beyond the means of Burnley, Everton or Leicester City. That is sure to provide this game with an extra dash of spice. Ex-Claret and England international Michael Keane will return to Burnley for the first time since his own big money move to Goodison Park. I expect nothing less than warm embrace for the lad from Sean Dyche and some genuine applause from the Burnley fans who fully understood Keane’s reasoning for a new adventure. Keane arrived at Burnley four years ago, still a wet behind the ears wannabe from Sir Alex Ferguson’s school of hard knocks. Sean Dyche polished, cultivated and developed the young Keane into a fully-fledged high class, much coveted central defender. He now seems to be settling in to the Goodison Park culture after a difficult start to his Toffees career. England supremo Gareth Southgate is expected to attend Turf Moor tomorrow but his eyes won’t be focussing on Keane. Rival goalkeepers Jordan Pickford and Nick Pope are very much on Southgate’s radar for the next England call-up. Burnley’s Ben Mee and Jack Cork are also looking to be in the shop window and on current form cannot be far away from the full England team. 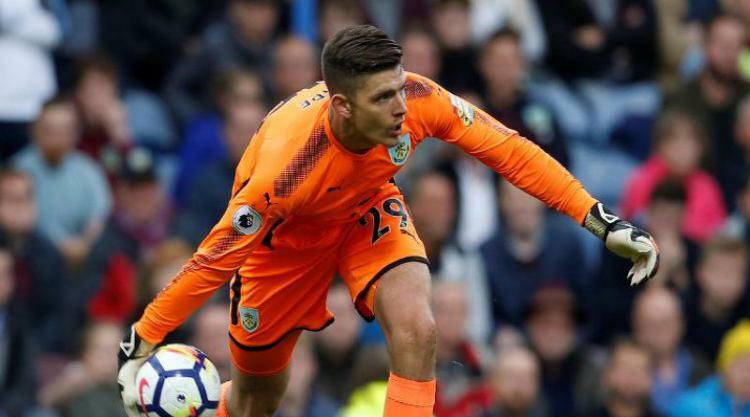 It is beyond ironic that Nick Pope may get the England nod ahead of Tom Heaton, the man he replaced in the Clarets’ goal following the Burnley skipper’s pre-Christmas nasty shoulder injury. The present season will no doubt have many more twists and turns and it is not inconceivable that Burnley could be providing England with two goalkeepers for the flight to Russia and the World Cup Finals. Speaking of the World Cup, Burnley’s Ashley Barnes is also looking to impress and has given notice he wants to join the Austrian World Cup squad. Barnes already has one cap for the Austrians at under-20 level and given his current form, a call-up is not beyond the realms of possibility. Sean Dyche also has a real selection headache for tomorrow’s clash. A debilitating injury list is clearing and the Burnley gaffer looks certain to be able to call upon the services of Chris Wood, Dean Marney, James Tarkowski, Nakhi Wells and Spurs loanee GK Nkoudou, who impressed with a couple of goals in a behind closed doors friendly on Monday. Second guessing Sean Dyche on team selection and tactics is a really difficult way to pass time but I expect the team to line up in a 4-4-1-1 formation: Pope, Lowton, Mee, Tarkowski, Ward, Lennon, Cork, Westwood, Gudmundsson, Hendrick and Barnes. Aaron Lennon has settled in nicely into Dyche’s all action playing style and it is extremely likely he will start against the team he left to join Burnley in January. It should be a real old fashioned game of football tomorrow and given Burnley’s determination to return to winning ways and Everton’s poor recent away record on the road, a home win looks to be the banker bet (TEC).